Considered locking in a Mar del Plata holiday package? It's really easy with Expedia, and you'll be able to buy some fancy dinners or souvenirs for your buddies back home with the money you save. Savvy vacationers who purchase a package deal on Expedia will save as much as 59%*. With us, you've got more than 400 airline partners and 321,000 worldwide properties to choose from around the globe, which means your dream holiday is just a few clicks away! You never have to worry about changing your family's plans, as we don't charge additional cancellation fees for almost all of our hotel bookings. About to jet off on your Mar del Plata holiday? Wondering what sort of things to put on your travel schedule? Don't worry — we're here to give you a few of our top tips. Home to wonders like Bristol Beach and Colon Square, there will never be a boring moment in this metropolis. After you've finished checking out those, continue on to Torreon del Monje and Torre Tanque. Nothing gives us an understanding of days gone by quite like historic buildings. Why not take a tour around Villa Victoria and hear a few tales about the happenings behind its walls? There's an excellent range of things to keep you busy in this destination. Public squares have many tales to tell. Wander well-trodden footpaths and try to find some clues to the area's history at San Martin Square. Still got time on your hands? Frequented for public worship and moments of prayer, Mar del Plata Cathedral is a noteworthy holy structure. That being said, you don't have to be the church-going type to visit this peaceful place. 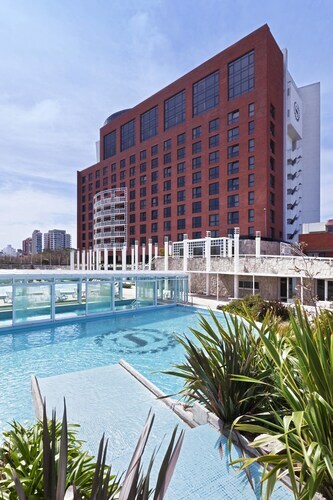 Make your way to Mar del Plata with ease knowing that you've got accommodations secured. With at least 27 properties to choose from, booking a soft, comfy bed for your next luxury getaway or cheap holiday won't be a problem! 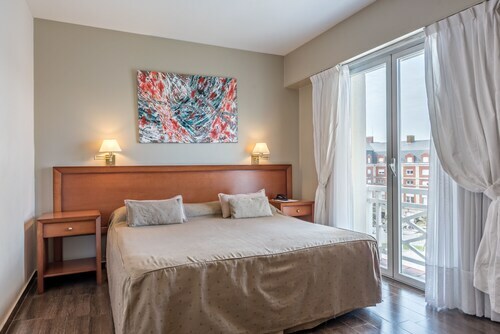 The Costa Galana (Boulevard P. Peralta Ramos 5725) and the Sheraton Mar Del Plata Hotel (Avenita Alem 4221) are two of the higher-end choices in Mar del Plata. Book a room at either and you're sure to have the nicest guest amenities and hotel features in town. 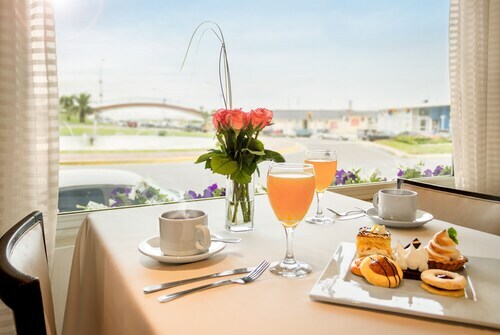 If your holiday nest egg isn't as healthy as you imagined it would be, the Hotel Catedral (Moreno 2327) and the Hotel Entre Rios (Entre Rios 2538) are some low-priced options. There's nothing like touching down at Astor Piazzola International Airport (MDQ) after a long, cramped flight. After you've claimed your bags from the carousel and had a good stretch, you'll find yourself about 6 miles (10 km) from central Mar del Plata. Mar del Plata’s huge main square is home to architectural treasures, a children’s play area, public art and a weekend handicraft market. Bask in the summer sunshine at one of Argentina’s most famous beaches, swim in the cool Atlantic waters and stroll along the picturesque esplanade. This grand neo-Gothic monument, characterized by its bell tower and multiple spires, lords over the lively main square of Mar del Plata. A short walk from the historic center is this tree-lined square, a great place to do some people-watching and let children enjoy recreational activities. Go behind the scenes on a guided tour of this 19th-century theater and attend concerts of classical, flamenco, jazz and tango music. This family-friendly Mar del Plata hotel is steps away from Bristol Beach, Plaza Almirante Brown and Colon Square. Millennium Square and Aguas Danzantes Fountain are also within 5 minutes. 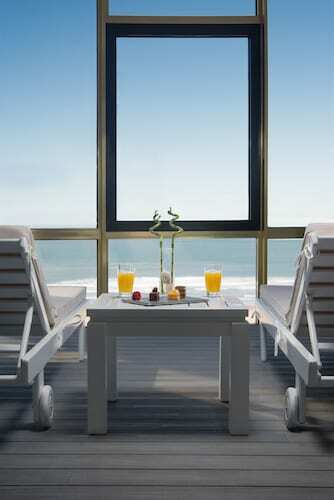 This family-friendly Mar del Plata hotel is within 1 mi (2 km) of Mar del Plata Golf Club, Chica Beach and Grande Beach. Martin Miguel de Guemes and Mar Del Plata Port are also within 1 mile (2 km). Located in La Perla, this hotel is within a 10-minute walk of San Martin Square, Mar del Plata Cathedral and Colon Theater. Central Casino and Aguas Danzantes Fountain are also within 15 minutes. Mar del Plata Station is 28 minutes by foot. 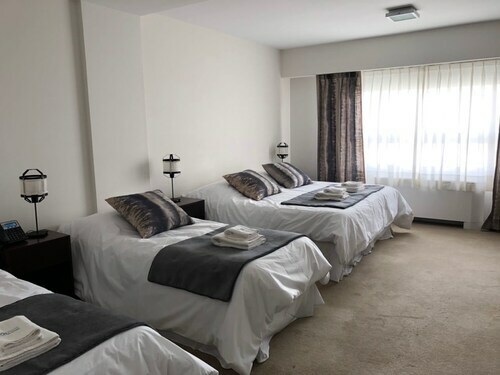 Situated in Mar del Plata, this hotel is within a 10-minute walk of Bingo del Mar, Paseo Aldrey - Cultural and Shopping Center and Millennium Square. Aguas Danzantes Fountain and Mitre Square are also within 15 minutes. 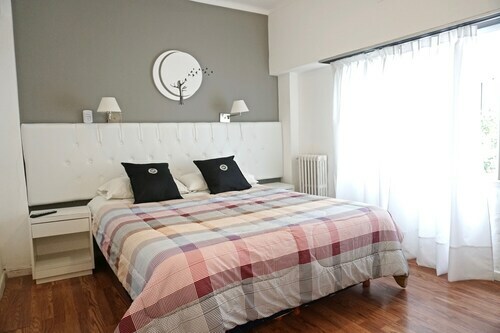 Located in Mar del Plata, this beachfront hotel is in the city centre and within a 10-minute walk of Mar del Plata Golf Club and Chica Beach. Grande Beach and Mar Del Plata Port are also within 1 mile (2 km). 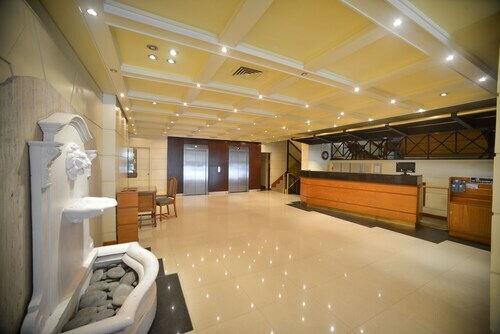 Located in the heart of Mar del Plata, this spa hotel is steps away from Millennium Square, Aguas Danzantes Fountain and Central Casino. Bingo del Mar and Bristol Beach are also within 5 minutes. Situated in Mar del Plata, this hotel is within a 10-minute walk of Martin Miguel de Guemes and Paseo Aldrey - Cultural and Shopping Center. Stella Maris Chapel and Torre Tanque are also within 15 minutes. Located in La Perla, this hotel is within a 10-minute walk of Bristol Beach, San Martin Square and La Perla Beach. Central Casino and Alfonsina Storni Monument are also within 10 minutes. Mar del Plata Station is 29 minutes by foot.